The bonsai pots in this section are all glazed and grouped by colour. The bonsai pots in this section are handmade to the highest quality. The bonsai pots in this section have a primitive style. 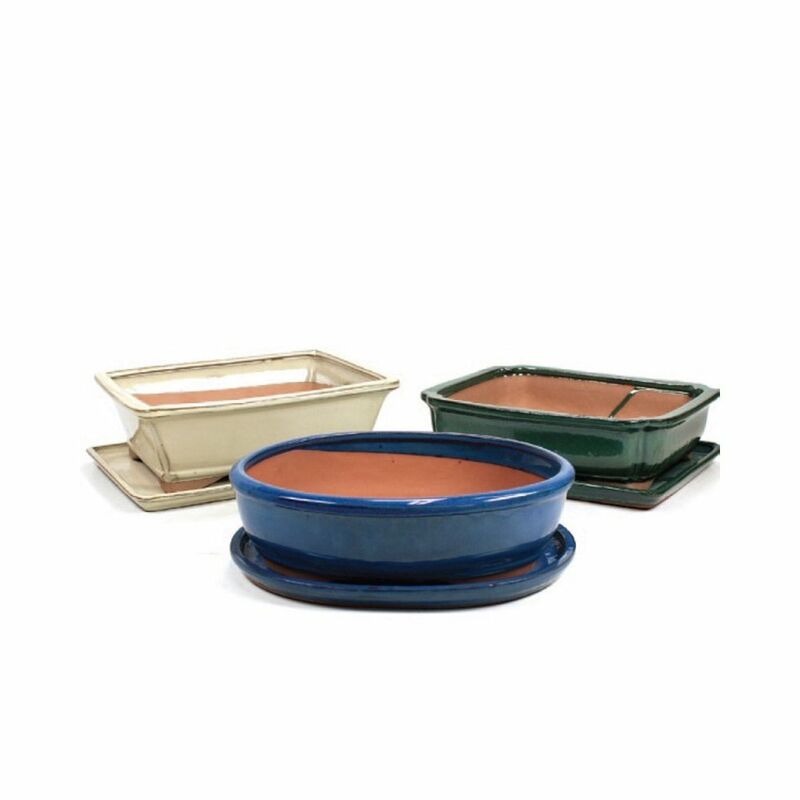 Use the search facility in this section to easily find the bonsai pot for your bonsai. The bonsai pots in this section have a special feature. Check out this section if you are looking for something different. The bonsai pots in this section are unglazed. The bonsai pots in this section are grouped by shape, either rectangular, round, oval, square or special. The bonsai pots in this section are grouped by size. The bonsai pots in this section are grouped by a specific bonsai style. The bonsai pots in this section come complete with matching saucer (drip tray).